The Australian wine industry should be putting far greater emphasis on its old-vine heritage, a panel of leading wine experts has concluded. Australia is home to some of the oldest vines in the world, but the story needs to be conveyed more effectively the panel, led by wine journalist Sarah Ahmed, said at Wine Australia’s Old Vines seminar in London. The seminar, which included Wynns head winemaker Sue Hodder, journalist Jamie Goode and Hewitson winemaker Dean Hewitson, explored Australia’s old vines through 15 premium wines. Ahmed said the tasting demonstrated what a huge asset Australia’s old vines were to its wine industry: “I think all 15 wines delivered in the glass and had great stories behind them, because what we know for sure is if these old vines are still there, then they are great vineyards and that’s what it’s about and where it all starts,” she said. Australia has been growing vines since the arrival of the First Fleet in 1788 and continues to make fine wines from plantings that date as far back as the mid-1800s. The seminar – the first of its kind for Wine Australia – featured wines including Tahbilk 1927 Vines Marsanne; Turkey Flat Shiraz, a wine with a winemaking lineage that goes back to the 1860s; and Schild Estate Moorooroo, which is produced from 1847 vines. Wine personality Oz Clarke, also in attendance, agreed that Australia had a duty to keep telling its old-vine stories. “They are older than almost any other wines in the world and it’s a part of the Australian culture that you should emphasise again and again,” he said. Wine Australia head of market UK and Europe Laura Jewell MW said the audience at the tasting was clearly captivated by the history of Australia’s old vines. 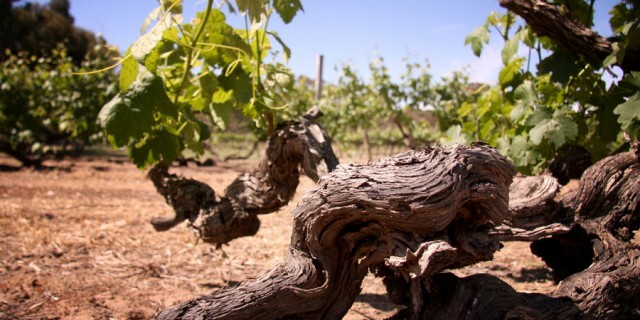 “Australia has some of the oldest vines in the world – certainly the oldest Shiraz and Mourvèdre – and South Australia in particular has vines unaffected by phylloxera that were planted in the mid-1800s,” she said. It is true that we have some of the oldest wine-producing vines in the world because of a restriction on the movement of grapevine material in the late 1800’s when Phylloxera was brought to Australia. Our Phylloxera protocols are a standout in the world of biosecurity and let’s hope we can maintain our Phylloxera free status outside the Phylloxera infected zones within the state of Victoria. There is a Shiraz Old Vine project being funded by the Barons of the Barossa with the University of Adelaide’s Waite campus and it looks like Cass Collins and her Ph.D. students may be able to explain the balance, complexity and length of flavour we see in well-balanced vines and well-made wines form these old vines. The project is in its final stages and should be released in the new year. It is a great story about the pre-Phylloxera material perhaps having different genetics; perhaps it falls into the area of epigenetics but it is under threat. Funding the preservation, identification and evaluation of many of our old varieties from Semillon and Riesling to Grenache, Mataro and especially Shiraz has been very difficult to source. It has been a hard fight but some funding has finally been allocated to DNA profiling, virus testing (most of it has never seen a virus unless younger vines have been planted nearby from unclean stock) and hopefully one day a national register so growers can access material referenced back to a mother vine and registered source block. At the moment the largest collection held by CSIRO is closed and a volunteer-based Vine Improvement Group is funding the management of a number of collections across the country which gives growers and nurseries access to the most important resource of all for a viticultural industry – its planting stock. Preservation of our old stock is on shaky ground and I guess we are in the hands of CSIRO management to work through all the issues with DNA identification and agreement on what is actually the internationally agreed DNA profile – and name – for each of these old varieties. Hopefully all those winemakers who elaborate on the virtues of old vines will also advocate the funding of Vine Improvement so the Australian Wine Industry can be in control of its own destiny and add to the diversity of grapevine genetics world-wide.